Q: I like that you include the Titanic but it’s just almost background. Did you feel that as you were writing a novel set in 1912, it had to be a part of the canvas? How did you approach it? A: If all goes as planned, the series should progress year by year. 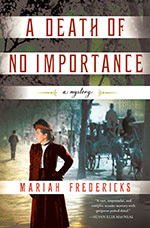 The second book brings the action to 1912 and it seemed unthinkable not to include the Titanic. It’s the ultimate symbol of the Gilded Age. The disaster had a huge impact on New York City. A family like the Benchleys would be familiar if not intimate with some of the people who died. And the tragedy involves some of the same questions you ask in a murder mystery: who was responsible? Why did this happen? What is the impact when death comes to so many, so unexpectedly? At the same time, I couldn’t send the Benchleys off on the maiden voyage and I didn’t want the whole narrative to be Titanic. So I wanted the give the feel of the city directly after people learn 1500 people have died in a single night. I wanted to thread in some of the narratives that evolved in the wake of the disaster. I read newspaper accounts from the days following the sinking and a terrific book, Down With the Old Canoe, which is a cultural history of the Titanic; even if you think you’ve read everything on the subject, read it because it’s marvelous. Certain stories got big right away: the Strausses dying together. John Jacob Astor sacrificing himself to protect his wife. Immigrants who supposedly shoved their way on to lifeboats while their betters perished. We know that one’s untrue, but everyone put a spin on it and it’s revealing to see what stories got told. The book opens with the Benchley household thinking about the disaster and for the rest of the book, everyone is insecure, even Jane. There’s an undertone of do I have a spot in the lifeboat? Who loves me enough to save me? If I died next week, would this be the life I wanted to live? Needless to say, when someone is murdered, it does not ease anyone’s nerves! Q: I love Jane and Louisa’s relationship. As a reader you feel as protective of her as Jane does. Can you talk about creating that relationship a little bit? A: Jane and Louise clicked for me in that moment in the first book when they meet. Louise throws all her insecurity and deep sense of inadequacy at Jane and for a brief second, Jane thinks, Oh, God, I can’t deal with this. But she finds something very appealing about Louise’s humility. She’s an underdog and Jane roots for people who feel oppressed by wealth and power—even when they’re rich. So she takes up her hairbrush and says, “Let’s have this hair the envy of every debutante in New York. We are not afraid.” With that “we,” she’s putting herself firmly in Louise’s corner. Now Louise is getting married and facing a whole new host of challenges. I nearly had a nervous breakdown planning my very small wedding, so I put all that into the book. Jane isn’t sure if Louise will keep her on when she’s married. Will she have a place in the new household? At the same time, Louise is wondering how she will be Mrs. William Tyler when she hasn’t really figured out who Louise Benchley is yet. They’re both dealing with uncertainty about their futures and it brings them closer together. Q: We always forget that almost every immigrant group that has ever come here has at first been looked at suspiciously and even demonized. In your novel, it’s the Italians who are regarded as dirty, dishonest, etc. Even their food is strange. Can you talk about the obvious parallels to today’s climate? Is this why you wanted to make it basically a theme of the novel? A: I live in an immigrant neighborhood and the last two years have been very painful for people. A woman wept in my house, she was so frightened. No matter where you stand on policy, that feels wrong. So yes, it was on my mind and that’s why the book is dedicated to the people of Jackson Heights. I knew Italians faced bigotry when they came here. The old tropes: too swarthy, in thrall to a foreign religion, uneducated, dirty, and so on. What I didn’t realize was that they were also seen as a terrorist threat. For decades, Italians were seen as a uniquely violent people whose presence endangered American lives, whether it was through criminal or political activity. Mafia or anarchism. Yes, there were people involved with both, and yes, sometimes they were violent. Paterson NJ was recently the home to the man who killed eight people with a truck in New York. A hundred years ago, Italians in Paterson lived in fear of blanket accusations of anarchist terrorism when the man who murdered King Umberto turned out to be an Italian immigrant living there. Giuseppe Zangara who tried to shoot FDR also lived in Paterson. Nobody suggests we get rid of New Jersey. 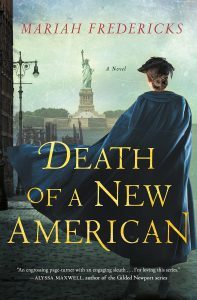 Q: Women’s suffrage is another background issue in this novel, and I was interested that Jane isn’t so sure about it and the radical Anna has no time for it. This was unexpected but I’m assuming realistic. 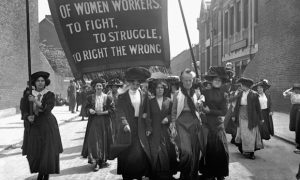 Can you talk about this issue and how it affected women in 1912? A: The image we have now is that all women knew the value of the vote and the moment they were enfranchised, they leapt to the ballot box to make their voice heard. But that’s not the case. Only 36% of women voted in that first election, compared to 68% of men. Years after universal suffrage was passed, Eleanor Roosevelt lamented that voter turn out among women was low. Sort of “We fought so hard for this right and now we don’t show up?”But really, if you’ve never had power, why would you know what it feels like to have it? Why would you know right away how to use it? I wanted it to be an arc for Jane. At the beginning of the book, she’s not…anti-vote, but she has a million other things on her mind and it’s all sort of abstract. It’s not until Michael Behan gives his reasons why women shouldn’t vote that she starts to realize all the insulting assumptions that are used to justify her lack of a voice. It’s hard to step forward and say, I want this. I have a right to this. At the end of the book, Jane and her co-workers join the suffrage march of 1912, but she’s very uncertain as she steps into the street. Is she doing it right? Does she have the right to march if she hasn’t been on board all along? I’ve often had that feeling with political protest and have come to the conclusion, nobody cares what I thought yesterday. What matters is I’m counted today. As for Anna, electing this or that tool of the swinish capitalist system is irrelevant. Revolution first, then voting. Also there’s a lot of apathy of voting today. I asked one friend, Do you feel more empowered when you vote or when you donate money to a candidate you support? Eleanor Roosevelt would not have liked her answer. Q: How did you come up with Jane? She has a lot of passion, a lot of common sense and a lot of curiosity – the perfect detective, in short. Did she appear out of the ether or did you consciously think of qualities you wanted to include? A: I had the strong feeling that she was someone of low social status who knew the truth of a famous crime and now wanted to be heard. Her language was not contemporary, so I had to go back. But not so far back that mobility for women was an insurmountable obstacle. She had to be able to get around a city and talk to people. I’m a New Yorker, so that city was New York. I wanted her to be poor, yet have access to rich people. That meant servant. The way she spoke indicated some level of erudition, so I gave her a minister for an uncle. And I wanted her to be the kind of person people confide in, a good soul that they could trust. That pretty much completed the picture. Q: I also loved that the Long Island of the time seemed so far away and exotic. Even distances seem different. 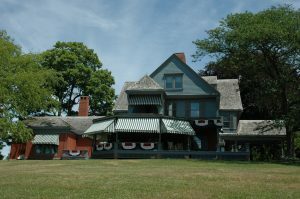 What kind of research was involved in creating the setting for the Tyler’s home? 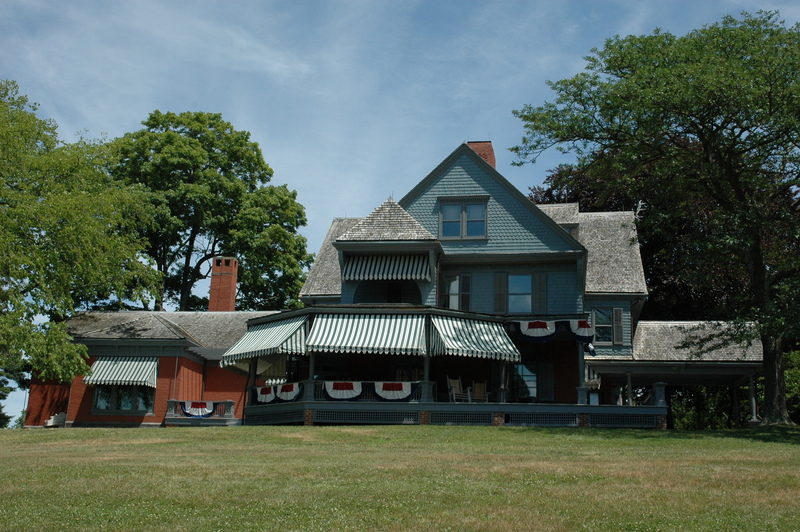 A: You won’t be shocked to hear that I based the Tylers’ home on Teddy Roosevelt’s Sagamore Hill in Oyster Bay. I spent a terrific day out there. I was the sole visitor for my time slot and had a wonderful guide all to myself. I wish I’d thought to ask for his name, because I should have thanked him in the acknowledgements. Distances and travel are a theme in the book. Change, moving from one point to another. Pennsylvania Station was brand new. The tunnels were new. Americans were moving in ways and directions they hadn’t before. New vistas opening up. This is true for Louise and William. True for the women in the book. Some people are very nervous about these new paths. Mrs. Benchley is convinced those new modern tunnels under the river will fall in. But others like Emily Tyler are ready to leap forward. Q: I love the relationship between Louisa and William. It’s complicated and simple at the same time. How did you develop this aspect of the books? A: Strangely, in book one, even though I gave Louise a crush on William, it didn’t occur to me that they could get married. Not after what Charlotte put the Tylers through in A Death of No Importance! But when I thought about the Tylers’ financial straits, I realized it made a lot of sense. And William and Louise would get along, despite William’s romantic “affinity of the good looking for the good looking.” Neither of them is respected by their relatives, even though they’re intelligent, kind, humble people. There’s a picture of Franklin and Eleanor Roosevelt when they’re courting or just married. He’s so handsome, she’s still a bit awkward. But he’s gazing at her like she’s the most beautiful woman in the world. Just slack jawed crazy about her. I looked at that picture a lot writing this book. However, I will say, they are young. They are inexperienced. There will be bumps. Q: How far do you see the series stretching ahead? 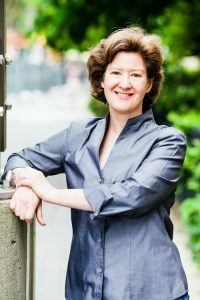 What kind of arc do you have in mind for Jane? A: The series progresses year by year. If you told me that I could have contracts for books going through 1918, I’d be a very, very happy woman. That would get Jane to a new starting point in her life, in the same spot where her life started in America. I have the scene written. I’d also love to explore Jane’s life in the 20s. Post-war America is so different from the Gilded Age. And I have dramatic threads for her—and her kids—as late as World War II in my head. We’ll see how much I get to write. Q: I really respect the passion in your novels. 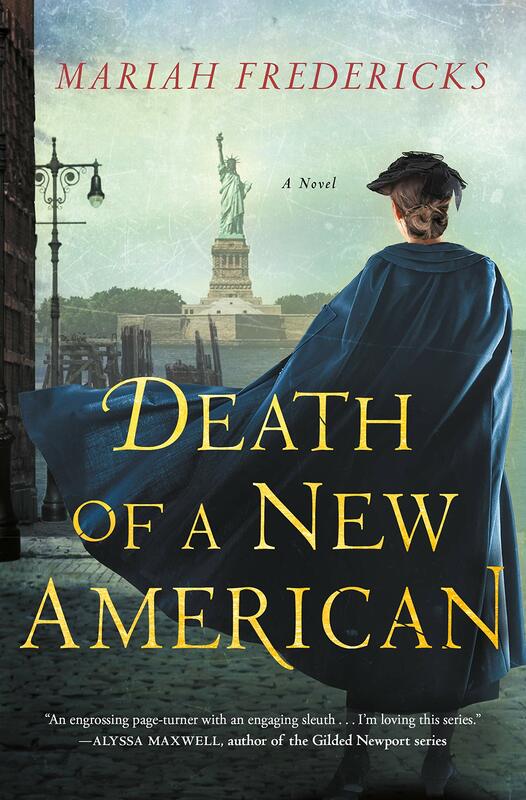 Sometimes historical novels, which I happen to love, can also be almost fantasies of the way people wish life were lived in the past. You bring a bit of hard reality to the proceedings. Can you talk about that a bit? A: Thank you. I love historical novels too. They were my go to genre growing up. But when writing mysteries, I like to grapple with the question of why someone would take a life. It’s an extreme solution! So that takes you to looking at the tensions, pressures, and hatreds of the era. If it was all tea and ball gowns, why would anyone kill people? And so many of the issues in the Gilded Age mirror the problems we have now. If you just look at the Gilded bits—and I know many people prefer to—and not the Jacob Riis side of things, you have no sense that we have successfully dealt with complicated issues in the past. The way we used to confront societal ills, our capacity for change that improved people’s lives, is inspiring. Q: Did you always know you were a mystery writer? A: Not at all! The Mystery Writers of America told me I was a mystery writer when they nominated my novel Crunch Time for an Edgar. I went to the awards and felt so much excitement about the work these people were doing and the kind of community they had. I really felt these were my people and where I belonged. I’m so happy to be welcomed to the group. Q: Last word – what book was transformational for you as a reader or as a writer? 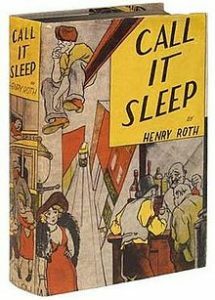 A: Thinking of my work now, I’d say Call It Sleep (Henry Roth, 1934). I read that book in high school and I don’t know how much I understood. But it was like opening a door and suddenly there’s all the babble and hubbub of the real New York in the 1910s. Roth brings the world of the Jewish Lower East Side to life so vividly, it’s disorienting. It’s almost like he’s recording rather than writing. It was utterly thrilling to me that a writer could bring people’s voices back like that.